Before it was a movie starring Robert Pattinson and Reese Witherspoon, 'Water For Elephants' was a best-selling novel by Sara Gruen. 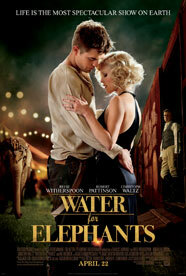 'Water for Elephants' is the story of Jacob, a veterinary student who joins the circus after his parents' tragic deaths. The very real details of life in the time of the great depression, and circus life is sobering. It is a happily ever after film, but filled with lessons in inspiring and unforgivable human behavior. The motto for this one is . . . don't mess with an elephant because they never forget! 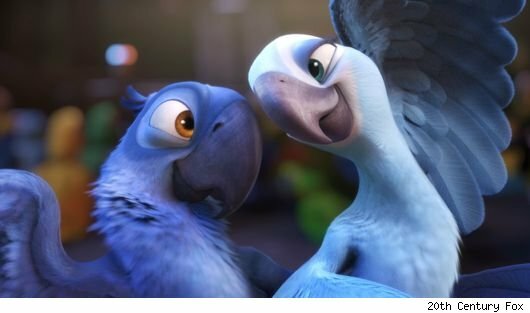 The birds of 'Rio' continued to be number 1 at the box office this week, holding on to the top spot for the second straight week with huge revenues of $26.8 million. This is a film the whole family can enoy. From the makers of "Ice Age" it features Anne Hathaway, George Lopez, Jesse Eisenberg, will.i.am and Jamie Foxx. Aaron Nigel Smith was recently added to the line-up at the Kindiefest public music festival in New York. Students from Brooklyn's own Achievement First East New York Elementary School will join Aaron for a couple of songs during his set at the festival. " I had a terrific time working with the scholars from Achievement First on the In A Book music video for National Reading Month in February. It was a natural fit for them to perform with me at the festival in their hometown. This year's event is scheduled for May 1 from 12:00-4:00pm. In addition to Aaron Nigel Smith, The line up for Kindiefest's Family Festival includes The Verve Pipe, Elizabeth Mitchell & You Are My Flower, Tim & the Space Cadets, Oran Etkin, and Heidi Swedberg and the Sukey Jump Band (who is actually Susan from Seinfeld!). Tickets are available at http://www.littlefieldnyc.com/event/33805/. Aaron Nigel Smith has been a featured musical guest on the Emmy Award� winning PBS Kids television series Between the Lions and works with the NEA Read Across America program to promote literacy through music. He has been a musician since age 11 when he began performing professionally with the American Boy choir in venues such as Carnegie Hall, Lincoln Center, Kennedy Center, and the Essex Cathedral in London. In addition to being an accomplished vocalist, he plays percussion and guitar, is a prolific songwriter, and is an inspiring teacher to children of all ages. Kindiefest is the world's first-ever family music conference that fully embraces today's market in all its diversity. Focusing exclusively on music for kids and families, Kindiefest will help uncover the fastest-growing aspect of the music business: family entertainment. Kindiefest, which grew out of industry showcases in 2007 and 2008, got started on Saturday, May 2, 2009, in Brooklyn (under the name StinkFest), with a sold-out day of panels and a night of music and fun. In 2010 Kindiefest expanded to three days, including a first-night party and keynote and a Sunday public festival. Read all about 2010 here. Kindiefest is an event of Kindiefest LLC. 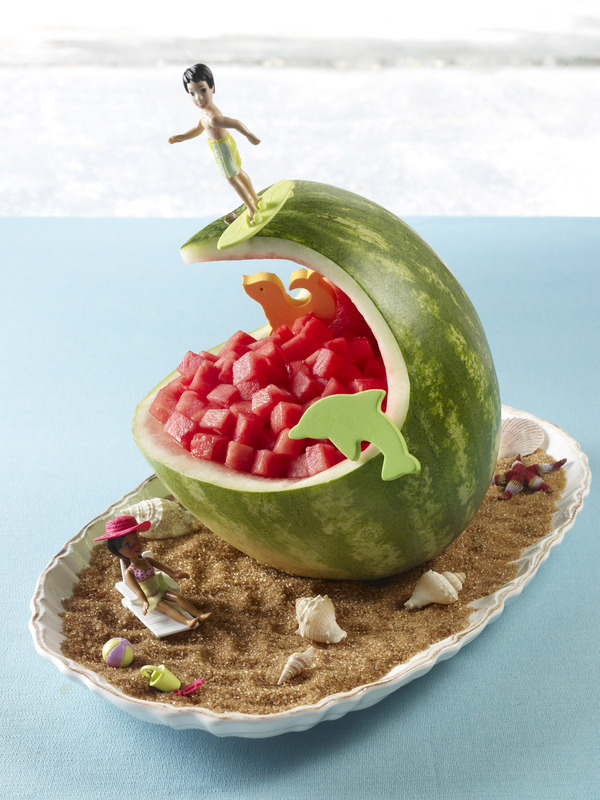 Watermelon contains Vitamin A, B6 and C, as well as being a great source of potassium. The National Watermelon Board offers lots of great ways for adults and kids to enjoy this wonderful summer cooler that include mouthwatering snacks for the young at heart. Visit www.watermelon.org for delicious ideas. 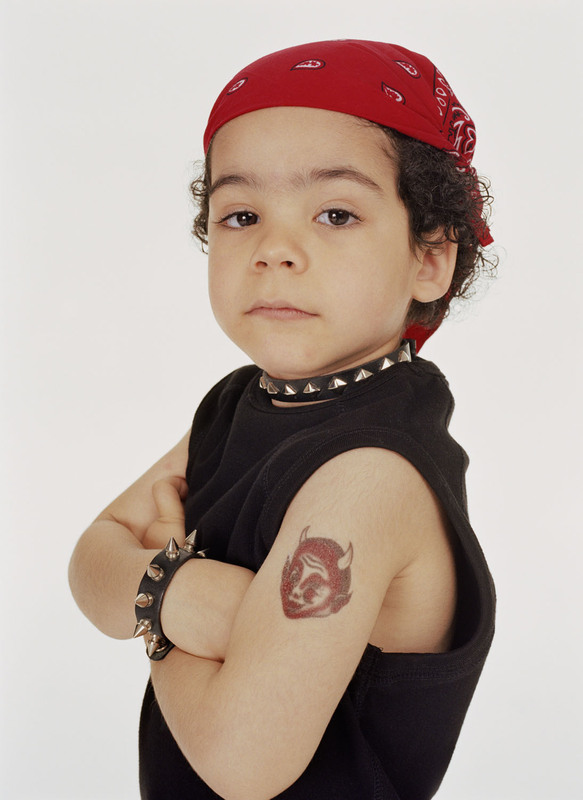 For the most part, so-called temporary tattoos are safe for kids and grown-ups alike, even if they do contain a long list of scary sounding ingredients including resins, polymers, varnishes and dyes. But if they are sold legitimately in the U.S., their ingredients have been approved by the U.S. Food and Drug Administration (FSA) as cosmetics, meaning the agency has found them to be safe for �direct dermal contact.� The FDA has received reports of minor skin irritation including redness and swelling, but such cases have been deemed �child specific� and were not widespread enough to warrant general warnings to the public. Those who are concerned anyway but still want a temporary tattoo might consider an airbrush tattoo�they are sprayed on over a stencil using FDA-approved cosmetic inks. The rub on these in the past was that they didn�t last very long, but new varieties are reported to last two weeks, and can be easily removed prior to that with isopropyl alcohol, just like their �press-on� cousins. Another alternative way to go is henna-based tattoos, which typically do not contain any additives whatsoever. Henna is a flowering plant used since the days of our earliest civilizations to dye skin, fingernails, hair, leather, and wool�and it makes for a relatively natural�although monotone�temporary tattoo. But the FDA warns consumers to steer clear of any temporary tattoos labeled as �black henna� or �pre-mixed henna,� as these have been known to contain potentially harmful adulterants including silver nitrate, carmine, pyrogallol, disperse orange dye and chromium. Researchers have linked such ingredients to a range of health problems including allergic reactions, chronic inflammatory reactions, and late-onset allergic reactions to related clothing and hairdressing dyes. Neither black henna nor pre-mixed henna are approved for cosmetic use by the FDA and should be avoided even if they are for sale in a reputable store. Something else to watch out for are the micro-injection machines used by some professional temporary tattoo artists such as might be hired for a corporate event or a festival While getting a microinjection-based temporary tattoo may not hurt, it does puncture the skin. The United Kingdom�s Health and Safety Executive recently issued a warning that improperly cleaned machines could facilitate the spread of infectious diseases including HIV and hepatitis. As a result, several types of micro-injection machines with internal parts that could carry contamination from one customer to another have been banned there. Such machines aren�t as popular in the U.S., but if you aren�t sure, it�s best to avoid it. The more familiar press-on temporary tattoos are a safer bet regardless. Just in case you�re worried that the FDA isn�t checking, the agency has in the recent past issued import blocks on temporary tattoos that do not comply with federal labeling regulations; buyers beware that the ones you get should clearly list their ingredients on the packaging per FDA requirements. CONTACTS: FDA, www.fda.gov; United Kingdom�s Health and Safety Executive, www.hse.gov.uk.